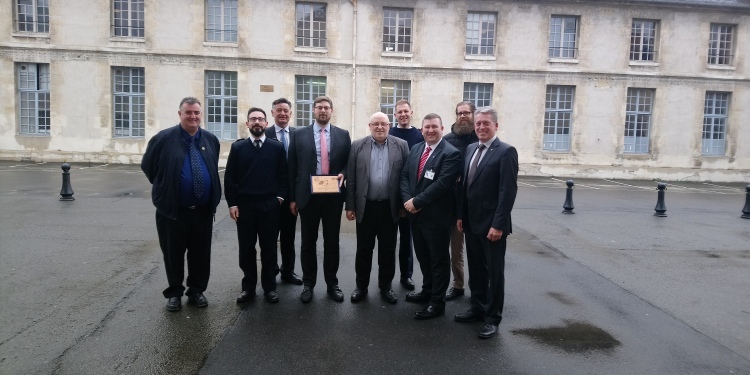 The European Organisation of Military Associations (EUROMIL) had the pleasure to meet with representatives of French military associations APNM at a roundtable meeting it organised on military associations at the Military School on 27 March 2018 in Paris. In order to support military personnel in France, Emmanuel Jacob, President of EUROMIL, together with Andreas Steinmetz, Second Deputy to the Federal Chairman, German Armed Forces Association (DBwV – Germany), Thomas McCarthy, EUROMIL Board Member and Gerard Guinan, General Secretary, Permanent Defence Force Other Ranks Representative Association (PDFORRA – Ireland), visited Paris to meet with representatives of several military associations in March 2018. Together, they discussed the role of military associations in protecting the human rights and fundamental freedoms of armed forces personnel as well as the particular situation of military personnel in France and the development of military associations in the country since military personnel were granted the right of association in 2015. EUROMIL looks forward to collaborating with the French military associations to defend and promote the rights and interests of French military personnel in the benefit of the staff, the armed forces and the whole society!